This Monday marks the 50th anniversary of the day the country was officially named ‘Maldives’. Half a century ago, on January 21, 1969, the Minister of Foreign Affairs at the time, Ahmed Zaki signed and issued a declaration, announcing the country was to be henceforth called the 'Republic of Maldives'. Head of the National Archives of Maldives, Mohamed Shathir reported to ‘Sun’ the country was previously referred to as the Maldive Islands. 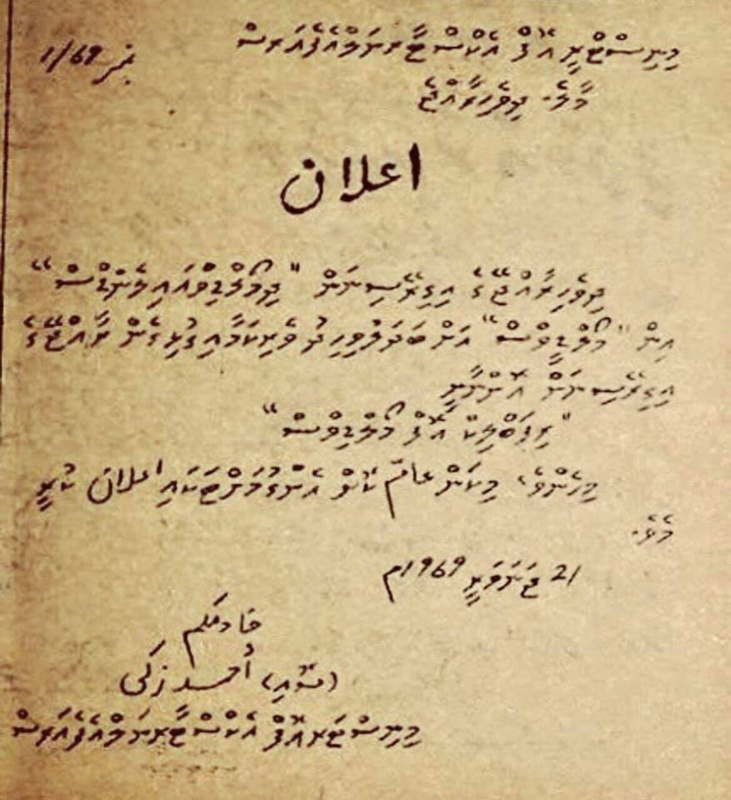 One of the reasons why the name was changed to ‘Maldives’, reports Shathir, was to shorten the name. “Foreigners used to refer to this country, for example, the Arabs used to refer to us as the 'Dhaulath al-Mahaldheebiyya'. It later changed to 'al-Maldheef'. In Urudu and Hindi, we were called Maldheef. And in English, we were called 'Maldive Islands'. It was a bit long. Thus the decision to shorten it,” said Shathir. “The official name – like when some countries have ‘Islamic Republic’ or ‘Kingdom of’… We have been a Republic since November 11, 1968. We were a Republic at the time. And thus the name ‘Republic of Maldives’”, explained Shathir. 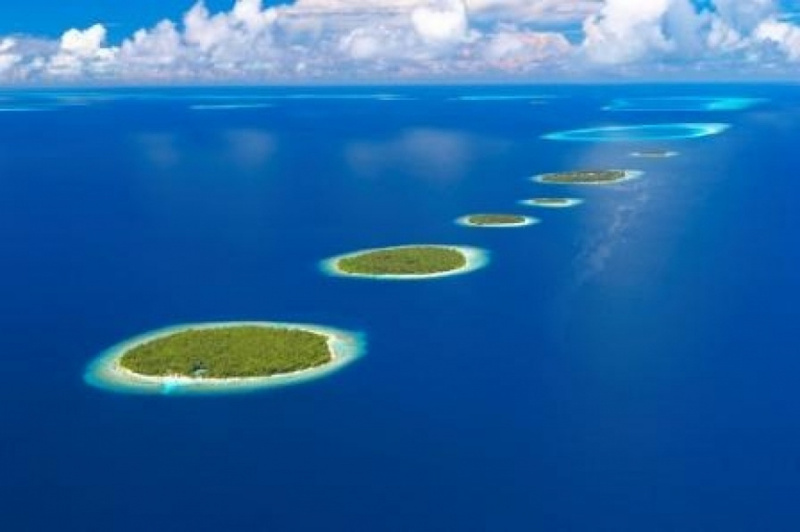 Maldives became a member of the United Nations in 1965 as the Maldive Islands.